I won't rest until the Mighty No. 9 saga is finally completed. After tracking down multiple companies to find out what happened to physical Kickstarter rewards a year after the game's launch in 2017, following a lack of communication on all fronts, I was galvanized to see this entire situation through. Just in case you haven't heard, Comcept still hasn't released the 3DS and Vita ports from its Kickstarter campaign. Though it would be easy to assume they were quietly canned, even as recently as late 2017 developer Comcept explained that the ports were on track. It's coming up on one year now with zero updates, and some backers I've spoken to specifically funded the campaign due to these ports. On top of my experience covering this project for nearly five years, I've spent the last several months researching the entire 3DS and Vita situation from top to bottom. Here's what I came up with. Before we get any further let's establish a timeline. The project launched on August 31, 2013 and calling it an "overnight success" is an understatement. 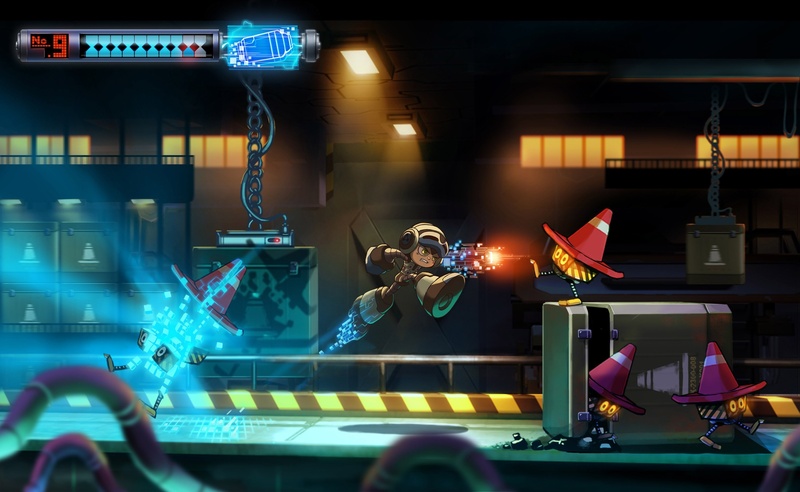 Mega Man co-father Keiji Inafune and his company Comcept were thrilled at the reaction, set to the tune of $900,000 (their full goal) and then some in just 24 hours. It would eventually go on to net $3,845,170, or roughly 400% of its initial goal. Given that the Mega Man series had been dormant at that time there was a clear thirst for another adjacent project. 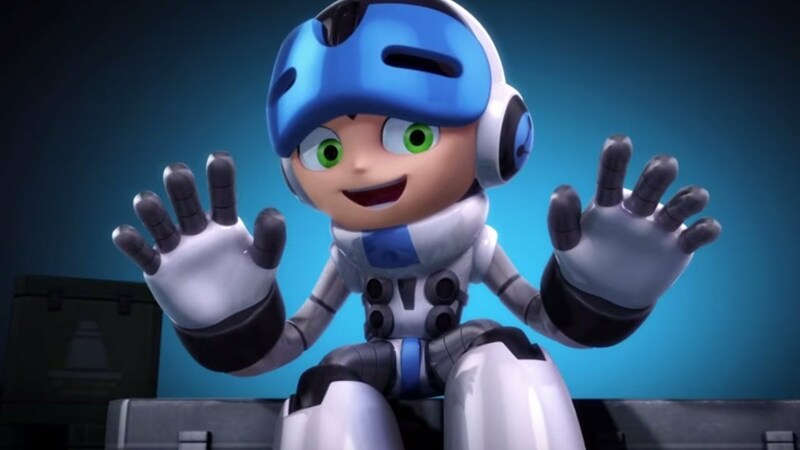 Fans even produced myriad comics of new protagonist Beck and Mega Man high-fiving -- it was an insane period of time for Comcept and the crew must have felt elated. Then the issues came. Time passed and people just weren't happy with the lack of communication from Comcept. While "wait until it's done" is a very normal and expected condition of gaming development, the company was not acclimating well to Kickstarter's trails and tribulations: namely, the need to provide backers with information on a regular basis. As a result, most of the updates came posthumously after they had already been requested (or avoided) for months, and usually involved a delay of some sort. A lot of delays. 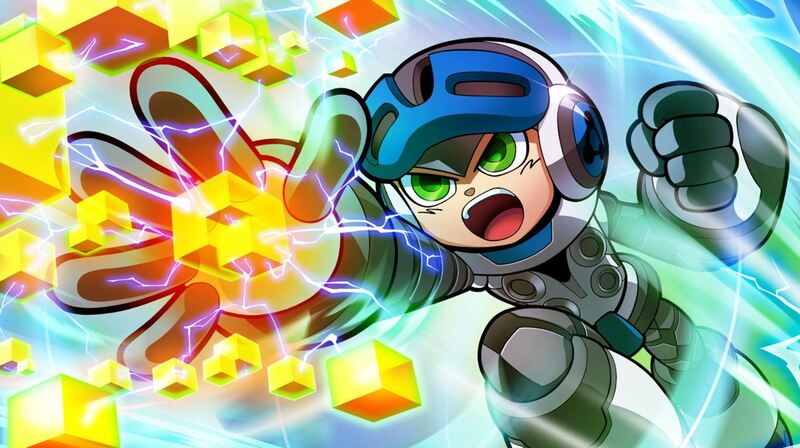 This is to say nothing of the company infighting that occurred once Deep Silver took over as the western publisher and Inafune's constant need to consider adding more superfluous content amid all of the delays (and promises that there wouldn't be delays, followed by inevitable delays and even an apology demo). The company also made the curious decision to pack every feature they hit during their stretch goals into the 1.0 edition, causing further holdups due to multiplayer modes and ancillary extras much of the community didn't even want. Then there's basically the masterclass in why campaigns shouldn't host multiple elaborate levels of physical rewards -- their brain had to communicate to multiple limbs to facilitate that nightmare. Those very rewards didn't ship until a year after launch behind schedule, and several media outlets (Destructoid included) had to track them down to get a timetable. Speaking of launch: Mighty No. 9 eventually did arrive in June of 2016 to a tepid response. It wasn't the worst platformer in the world (for some it was actually okay, even, imagine that) but its art style was lacking and at that point the damage had been done due to mismanagement. Its troubled development process had colored perception entirely. The property fizzled and mascot Beck shifted from a hot up-and-coming multimedia commodity (TV shows, toys, and a movie were planned) to a cameo character and a mere memory. The last Kickstarter update was October 2017 from Fangamer, telling backers to contact the company directly if they still need their physical rewards. The last actual Comcept post was in June of 2017, noting that the handheld versions "were not canceled, and are still in the process of porting." They also reaffirmed "everything is back on track now with an estimate of 2017," and promised to update folks "when [they] have more information." Cross-buy for Vita and a 3D effect for 3DS were even confirmed midway into development. We've hit the second anniversary of Mighty No. 9 and we still don't have the 3DS and Vita editions highlighted during the Kickstarter campaign. Both versions were bundled together as the $3,500,000 stretch goal with the description as follows: "That's right! At this level, we can make digital versions of Mighty No. 9 for the two most popular handheld systems out there: the PlayStation Vita and Nintendo 3DS! (These will both be added to the list of available systems to choose from, so every backer who is set to receive a download version of Mighty No. 9 can choose either of these as the system for their game download, instead of a home console or PC version.)" Many folks were counting on this, and even backed the campaign late in the game because of it. So what's up with Mighty No. 9 right now? 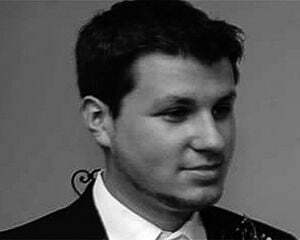 The game's Facebook page ceased communications in June of 2016. I attempted to reach for comment through this page. The official website and Twitter account have been dead since September 2016. I also attempted to make contact there. Comcept's site ceased operations in July of 2016, so no luck getting in touch there either, or at its parent Twitter page that stopped tweeting in October of 2016. Comcept was absorbed into Japanese titan Level-5 in June of 2017. Level-5 Comcept has a site too (I had a colleague send my inquiry to them in Japanese just to cover everything). So I dug from there. 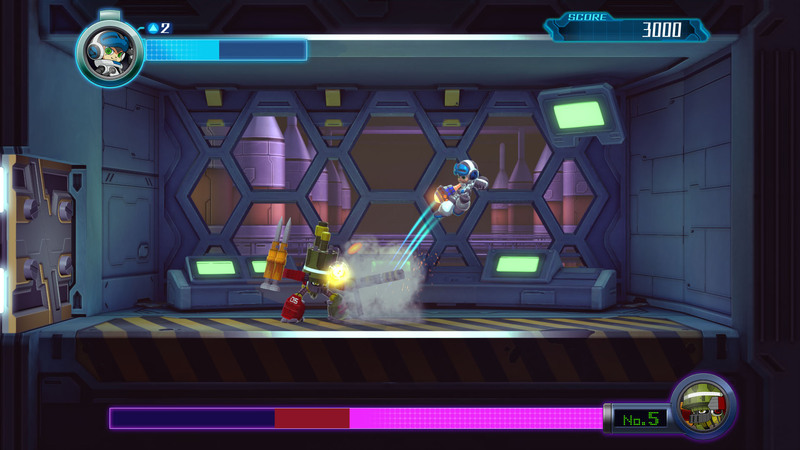 Comcept is the lead on Mighty No. 9, but the official site lists Inti Creates as a co-developer, with support from Digital Development Management (a consultancy firm), 8-4 (a video game localization company based in Shibuya, Tokyo), 2 Player Productions (a video production team), Humble Bundle (key delivery), Fangamer (physical rewards), Udon (art publisher), and Epic Games by way of the Unreal Engine. After more digging I discovered that a studio named Abstraction Games was initially asked to produce the 3DS and Vita ports, a task that was eventually shifted to Engine Software. I could not get in touch with Comcept, Level-5, or any entity therein. Deep Silver (again, western publisher) declined to comment on the situation, as did Spike Chunsoft, the game's publisher in Japan. I have not heard back from 8-4 by the time of publication. My Facebook message to Comcept was marked as "seen" by whoever is now operating it, but I did not get a reply. One entity did decide to comment and help shed some light on the situation. CEO of Abstraction Games, Ralph Egas, explained how they got the deal for the portable editions and why it came crashing down. Although the company did hint at development troubles back in 2015, Egas opened up with Destructoid and elaborated further. Egas states, "We had a deal in place that partially involved royalties. A deal we've had to agree to in a very short amount of time due to the Kickstarter campaign requirements and the handheld platform version being a stretch goal, etc. At that time I thought this was a great opportunity, but risky. We weren’t involved with Engine Software ourselves, although we have been engaging with them in the past on other projects, just not on this particular project directly." From his perspective, Comcept failed to communicate properly and deliver a final build on time. Egas states that the build was given "way later than planned" with "no intermediate builds and no source code until three or four months before they suddenly wanted to launch." Given that this Herculean task of pumping out ports (what Egas refers to as essentially a "demake" of the console and PC editions) in a short timeframe was impossible, they abandoned the project. Egas says that he took no pleasure in the decision, but "business-wise, this was the only logical outcome lest we risk going under." There was "zero progress" as they couldn't get started without a build. Egas contends that with frequent builds, access to the source code, and the ability to provide feedback on the engine conversion for the portable ports, they could have done a "proper job." This whole affair was "luckily" a letter of intent, and not a binding contract, he concludes. From there the project shifted to Engine Software, a development Egas couldn't believe: "Engine Software told me about the shiny new deal they had just signed to which I responded 'Well good for you! I guess… I hope you know what you’re doing!'" The last public mention of Engine Software's involvement with Mighty No. 9 was March 2017. It is no longer listed as part of the "in development" section of their website. I was not able to make contact with the company, as they are possibly still under NDA and going through the same trials and tribulations that Abstraction Games went through. If we hear from them or anyone else, we'll keep you updated. In order for us to do a proper job, we would need frequent builds, access to source code, the ability to provide feedback to them on how to use the technology in a way to avoid common issues with cross-platform development. The whole Abstraction Games situation, which thankfully can be brought to light due to a lack of a contract, elucidates why Mighty No. 9 turned out the way it did. Comcept got in way over their heads not just in terms of the cavalier use of Kickstarter and the expectations they set, but in the realm of game development as a whole. Multiple entities, including Fangamer and Abstraction, have intimated or outright contested that Comcept could have communicated more than they did. Now they just have one final thing to tell us: what happened to Mighty No. 9's 3DS and Vita ports. At this point they seem to be the only company that can answer that question, and they're not talking. [Update: It seems like this story was a call to arms for at least one involved party, and might be the final nail in the coffin of this years-long saga. After weeks of attempts I was able to get in contact with Engine Software, who took over port duties after the Abstraction Games debacle. Ruud van de Moosdijk, VP of development, provided the following statement, qualifying that the company was "bound by contractual confidentiality" and therefore can't answer any questions regarding the development status of Mighty No. 9: "we are no longer working on these ports so all future inquiries should be directed to Comcept." As of right now all third-party ties that we know of have been cut. The ball rests solely in Comcept's (and thus, Level-5's) court. After this story went live I was even able to get a comment from 8-4, who was listed as a translator for Mighty No. 9. Here's the response I received from an unnamed rep: "We were involved with Mighty No. 9 super early on in the project (the Kickstarter itself, plus some initial script work), but we haven’t really had anything to do with it since, sorry. So unfortunately we don't have any comment on the situation."